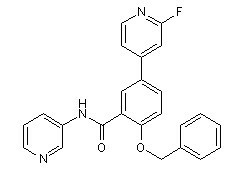 PF-06454589 is a potent and selective LRRK2 inhibitor. 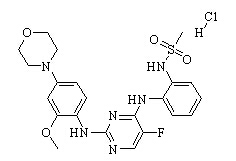 HG-10-102-01 is a brain penetrant, potent and selective inhibitor of wild-type LRRK2 and the G2019S mutant (IC50 for LRRK2-wild-type ~20.3 nM and LRRK2-[G2019S] ~3.2 nM). GSK257821A is a potent inhibitor of leucine-rich repeat kinase-2 (LRRK2). 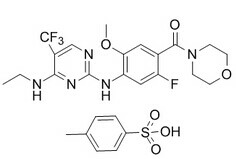 GNE-7915 is a highly potent, selective, and brain-penetrable LRRK2 small molecule inhibitor with IC50 of 9 nM in cellular LRRK2 assay; > 100 fold selectivity against a panel of 187 kianses(Ki).